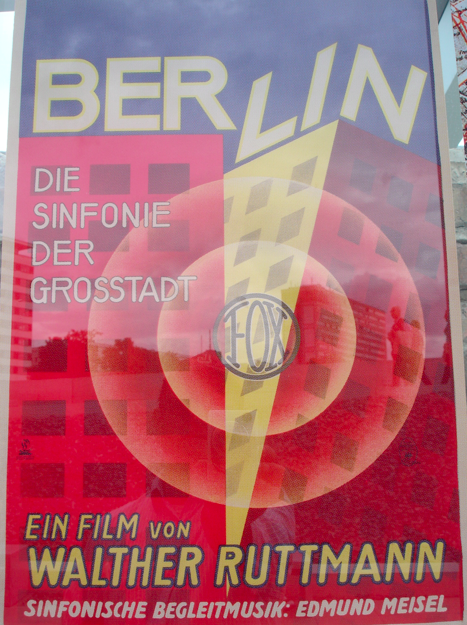 Just got back from a week in Berlin, hanging out with my mom and mostly doing tourist stuff. 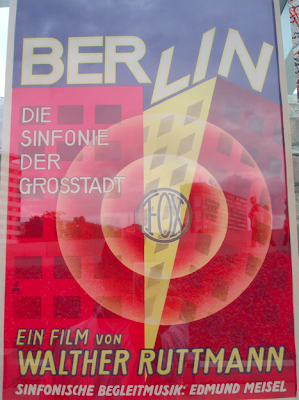 Saw interesting film SYMPHONY OF BERLIN, at the Neue National Galerie. Hung out with a writer from TAG DE ZEIT and distinguished myself by not knowing anything about American Politics. Not even knowing who was running for president. She said people in Germany don't do anti-depressants, they drink. "It is opposite in your country?" she added. Also in Berlin in 1984 I used to copy people's conversations down in notepads. The english conversations. One time this couple at the youth hostel were having a pretty serious love spat and I was sitting nearby scribbling along, and the guy turned to me with annoyance said "Are you getting all this down? ", and I said, "I'm up to the part where she said: You never ask me how I feel."